The global geofoam market was worth USD 0.36 Billion in 2014 and is projected to register a CAGR of 7.48% between 2015 and 2020. The market for geofoams is at a growing phase and is projected to continue so in the next five years (2015 to 2020). The demand for geofoams is high as it offers extensive cost savings and good load bearing properties. Wide scale infrastructural development in emerging countries such as China, India, Brazil, Saudi Arabia, and Qatar is leading the high demand for geofoams. In this study, 2013 has been considered as the historical year and 2014 as the base year for estimating market size of geofoams. Different secondary sources such as company websites, encyclopedia, textile reports, organic exchange reports, and databases have been used to identify and collect information that is useful for this extensive commercial study of the global geofoam market. The primary sources, which include experts from related industries, have been interviewed to verify and collect critical information as well as to assess the future prospects of the market. The top-down approach has been implemented to validate the market size in terms of value and volume. With the data triangulation procedure and validation of data through primaries, the exact values of the overall market size and individual market sizes have been determined and confirmed in this study. The geofoam market has a diversified and established ecosystem of upstream players such as raw material suppliers and downstream stakeholders such as manufacturers, vendors, end users, and government organizations. There are no specific raw material suppliers for this market as raw materials are supplied to the manufacturers through a network of middlemen and authorized distributors. This study identifies the prospective high growth market segments in the next two to five years to help stakeholders to prioritizing their efforts and investments. The stakeholders in the global geofoam market include geofoams manufacturers such as ACH Foam Technologies, LLC (U.S.), Carlisle Construction Materials (U.S.), Amvic Building Systems (Canada), Expol Ltd. (New Zealand), Groupe Legerlite, Inc. (Canada), and Pacific Allied Products Ltd. (U.S.), among others, and associations and organizations such as North American Geosynthetics Society, International Geosynthetics Society, and others. This research report categorizes the market for geofoams based on form, type, application, and region. It forecasts the revenue growth and analysis of trends in each of the submarkets. This report also includes profiles of leading manufacturers such as ACH Foam Technologies, LLC (U.S.), Carlisle Construction Materials (U.S.), Amvic Building Systems (Canada), Expol Ltd. (New Zealand), Groupe Legerlite, Inc. (Canada), and Pacific Allied Products Ltd. (U.S.), and others. The global geofoam market size, in terms of value, is projected to reach USD 0.57 Billion by 2020, registering a CAGR of 7.48% between 2015 and 2020. In terms of volume, the market size is projected to reach 9.21 million m3 by 2020, at a CAGR of 7.22% during the forecast period. The rising demand for geofoams from end-use industries due to its superior properties and extensive cost savings is the major driving factor of this market. Because of its physical properties, it is considered as a better alternative to traditional land stabilization materials. The market for XPS geofoams segment in the geofoam market is projected to register the fastest-growth. The collective growth in the use of geofoams is due to the increase in the awareness about the benefits of geofoams than traditional land stabilization materials in construction activities. Roadways application is the fastest-growing segment in the global geofoam market. Geofoams are highly preferred for roadways applications. The growing demand from core industries such as construction and roads & highways is the key factor contributing to the fast growth rate of the geofoams market. Asia-Pacific is the largest consumer of geofoams is also projected to register a high CAGR, in terms of value, between 2015 and 2020. This growth is majorly driven by the increase in geofoams demand in various application segments such as construction and roads & highways. 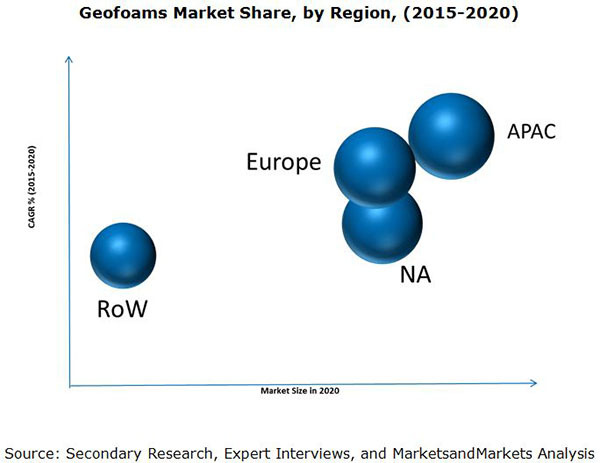 The geofoam market faces certain bottlenecks to its growth. High flammability and vulnerability to petroleum solvents is a major restraint in the usage of geofoams. 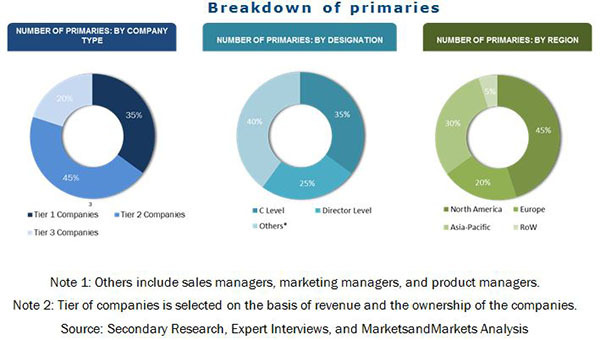 The global geofoams market is dominated by certain global players such as ACH Foam Technologies, LLC (U.S.), Carlisle Construction Materials (U.S.), Amvic Building Systems (Canada), Expol Ltd. (New Zealand), Groupe Legerlite, Inc. (Canada), and Pacific Allied Products Ltd. (U.S.). The diverse product portfolio and strategically positioned R&D centers, continuous adoption of development strategies, and technological advancements are the factors that are responsible for strengthening the market position of these companies in geofoam market. They have been adopting various organic and inorganic growth strategies such as expansions, merger & acquisitions, and new product launches to enhance their current market shares. This is expected to help the geofoam market evolve in more application segments and help expand their market shares. 11.10 Pacific Allied Products Ltd.
11.11 Gorantla Geosynthetics Pvt. Ltd.
11.12 Mansonville Plastics (BC) Ltd.